"Cameron" is a beautiful "Tri" Color male. He is a 14 1/2" power packed manly dog. 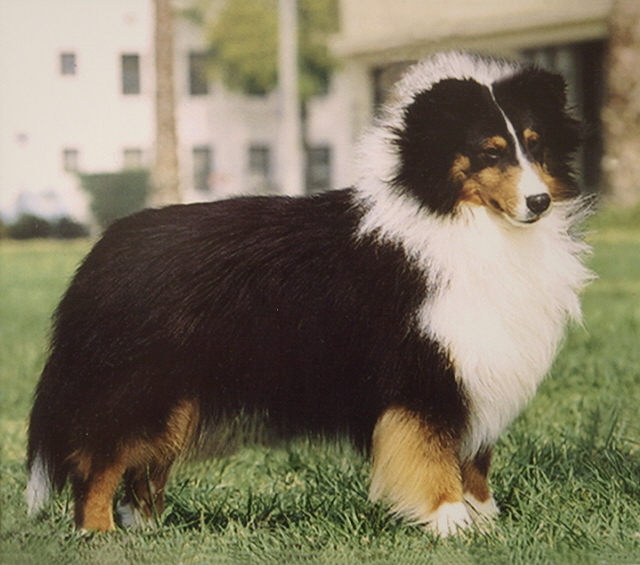 He finished his Championship by going Best of Winners at the Southern California Shetland Sheepdog Club Specialty.